Sensitive and charming, this Teardrop Tahitian Black Pearl and 14K White Gold Pendant takes on the double teardrop look. 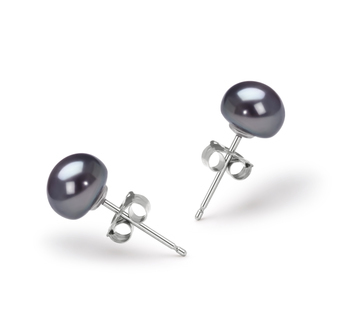 The top 14K White Gold teardrop remains a classy, clean and smooth design that tucks safely behind its bottom partner. 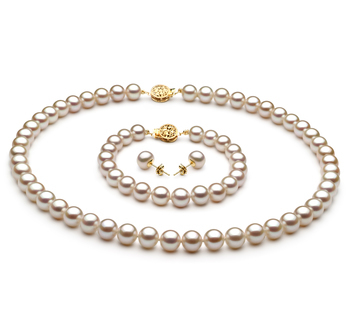 The second teardrop displays the hammered accented appearance while staying in the forefront and garnering the attention. 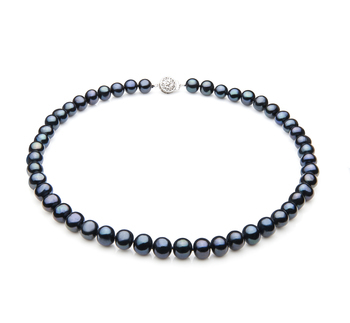 Hanging silently but boldly below the teardrops is the Tahitian Black Pearl. 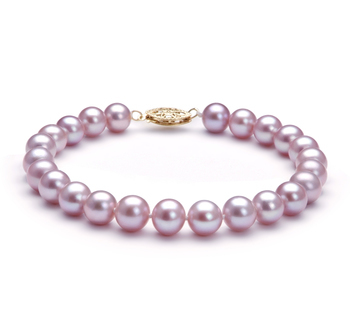 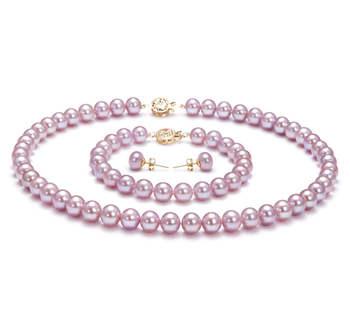 A true to form 11-12mm sized pearl ensure that it will be seen, appreciated and admired even at a distance. The perfect (AAAA) shape, luster and Nacre play out in succession to create a brilliant polish on an amazing pearl. 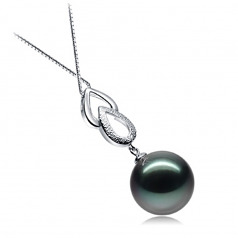 The Tahitian Black Pearl Pendant is a simple pendant packed with a lot of class and sophistication. 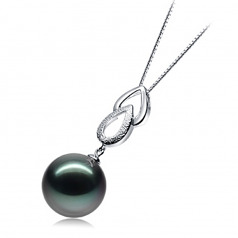 Wear it well in casual, business or formal situations; you can’t go wrong in matching this pendant to the right attire. 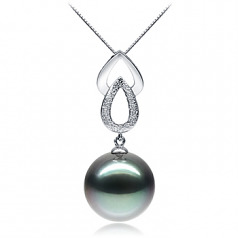 Show only for "Teardrop Pendant"